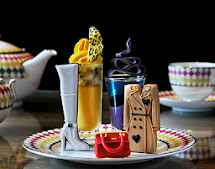 Fans of MO Bar’s unique branded afternoon teas are in for a treat from 1 December to 7 January 2014. 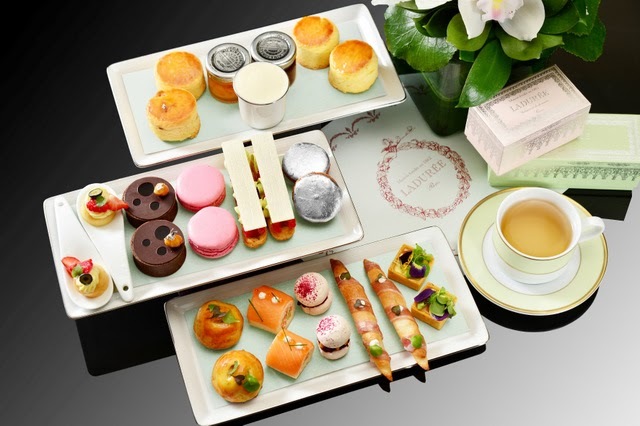 The Landmark Mandarin Oriental, Hong Kong has joined with Ladurée, the inventor of double-decker macarons for a spectacular afternoon tea show at MO Bar throughout this festive time. Ladurée has created the world’s exclusive Platinum Mandarin Macaron for The Landmark Mandarin Oriental Hong Kong, which guests can savour together with a range of additional mouth-watering creations designed by Chef Richard Ekkebus’ and his talented culinary team. 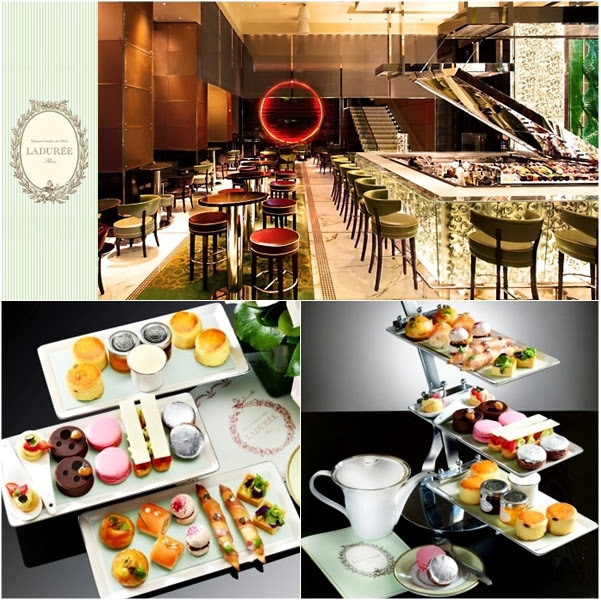 This delightful afternoon tea is priced at HKD288 from Mondays to Fridays and includes a three-tier tea set, a delectable cake buffet and a choice of JING tea or coffee; and HKD308 on Saturdays and Sundays, topped with a weekend dessert buffet. Along with the tea set, all guests will receive a Ladurée X Landmark Mandarin Oriental key ring (retail value: HKD390; while stocks last) that is a special edition from the worldwide popular Ladurée Secrets Collection. In addition, French craftsmen from the Ladurée laboratory in Paris will fly to Hong Kong to create the region’s first Ladurée macaron Christmas tree at The Landmark Mandarin Oriental Hong Kong. This 3-metre stunning tree will form part of the hotel’s festive Christmas decorations and will be located in the hotel lobby, setting a perfect photo backdrop rallying the attention of both Mandarin Oriental and Ladurée fans from around the world. The talented MO Bar team has tailor-made five traditional French savouries with a contemporary twist. A Beetroot and Foie Gras Macaron, a classic Air-Baguette Filled with Camembert Mousse Wrapped in Aged Bayonne Ham; and a Quiche Filled with Lardons of Smoked Bacon and Gruyere Cheese. Sweet temptations feature the world’s exclusive Platinum Mandarin Macaron, signature Rose Petal Macaron, classic French sweets Éclair Filled with Pistachio Pastry Cream and Raspberry; and Traditional Baba Soaked in Rum Agricole Topped with Crème Chantilly.